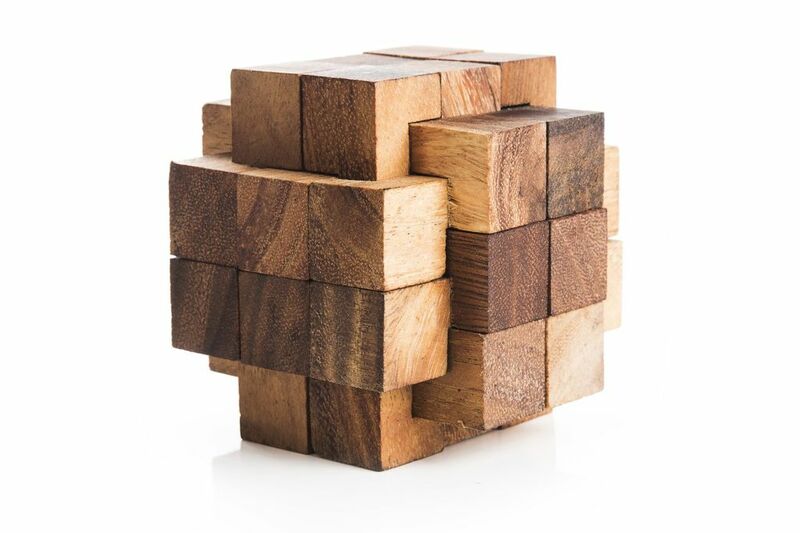 This Super Burr puzzle is one of the hardest interlocking puzzles in our collection. The Super Burr has 18 pieces, all with notches. The puzzle's design makes it extremely difficult because there are "holes" in the interior of the puzzle body, unlike most other regular burr puzzles which have no holes. This high-level difficulty puzzle is perfect for serious puzzlers with a lot of extra time on their hands. 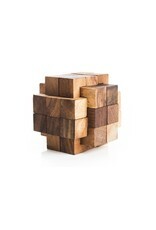 Once you’ve solved the Super Burr puzzle it makes a beautiful art piece to display on a bookshelf or coffee table.